Microsatellite instability (MSI) is the molecular marker for DNA mismatch repair deficiency (dMMR) in colorectal cancer (CRC) and has been associated with better survival outcomes in early stage disease. In metastatic CRC (mCRC), outcomes for patients with MSI are less clear. There is evolving evidence that treatment pathways for MSI CRC should include programmed-death 1 (PD-1) antibodies. 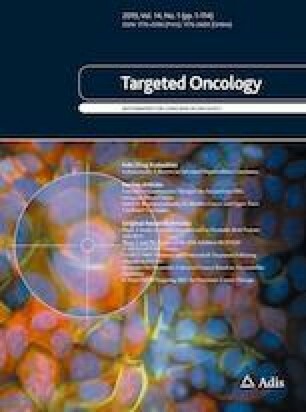 An analysis was performed to explore the impact of MSI status on overall survival (OS) in mCRC. South Australian Metastatic CRC Registry data were analysed to assess patient characteristics and survival outcomes, comparing patients with MSI CRC with those whose tumours were microsatellite stable (MSS). Kaplan–Meier survival analysis was used to assess OS. Cox regression analysis was undertaken to assess the independence of MSI as a prognostic factor. Of 4359 patients registered on the database, 598 (14%) had been tested for, and 62 (10.1%) of these patients had, demonstrable MSI. There were significantly higher rates of right-sided primary (p < 0.001), poorly differentiated pathology (p = 0.002), and BRAF V600E mutation (p < 0.001) in the MSI group. The MSI group were also less likely to receive chemotherapy (p < 0.001) or to have liver surgery, but more likely to be diagnosed at an early stage. The median overall survival was 9.5 months for those with MSI CRC versus 21.3 months for MSS CRC patients (p = 0.052). Cox regression analysis indicated that MSI was not an independent predictor of OS. Independent predictors of better OS included having liver surgery for metastasis, having chemotherapy, and being initially diagnosed at an early stage. Only 14% of patients with mCRC were tested for MSI, and 1 in 10 were found to be MSI high. The clinical characteristics of MSI mCRC are in keeping with those previously reported. MSI in this population-based registry was associated with a numerically lower survival which did not attain statistical significance. Li Chia Chong, Amanda Rose Townsend, Joanne Young, Amitesh Roy, Cynthia Piantadosi, Jennifer E Hardingham, David Roder, Christos Karapetis, Robert Padbury, Guy Maddern, James Moore, and Timothy Jay Price declare that they have no conflicts of interest that might be relevant to the contents of this manuscript. Roelands J, Kuppen PJK, Vermeulen L, Maccalli C, Decock J, Wang E, et al. Immunogenomic classification of colorectal cancer and therapeutic implications. Int J Mol Sci. 2017;18(10). https://doi.org/10.3390/ijms18102229.